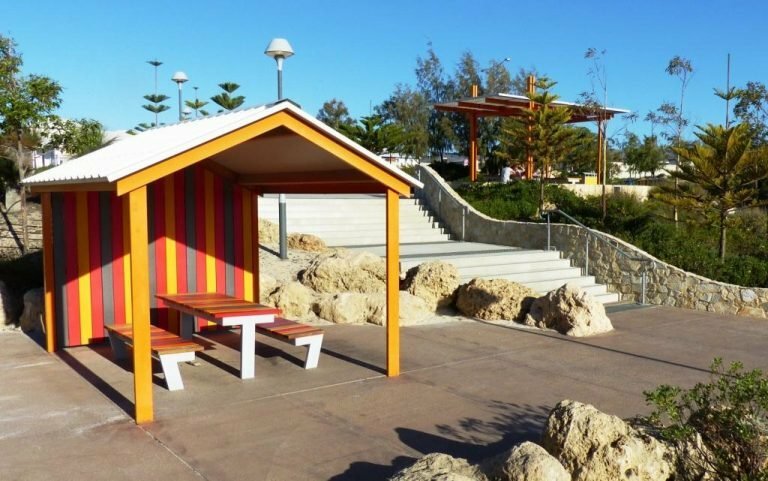 Working in conjunction with AECOM landscape architects and developer Lend Lease, we created a new range for use in the Alkimos Beach coastal subdivision north of Perth. Inspired by the sturdy, purposeful nature of jetties and wharves, ‘Boardwalk’ expresses its style with wide boards set at 90 degrees to the long axis of the seats and tables, attached to simple extra-strong frames. Visible countersunk stainless steel fixings reinforce the aesthetic. 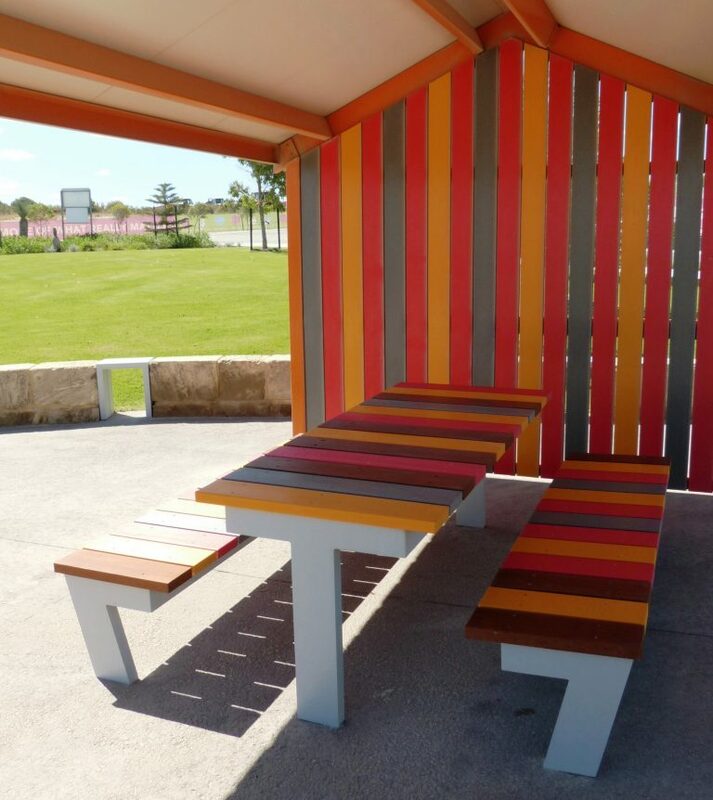 Located in public open spaces throughout the subdivision, these striking furniture pieces feature vibrant Furnitureform™ recycled HDPE plastic boards with colours reminiscent of traditional beach huts, deck chair covers and beach towels, providing a bright contrast to the coastal planting of the public open spaces. 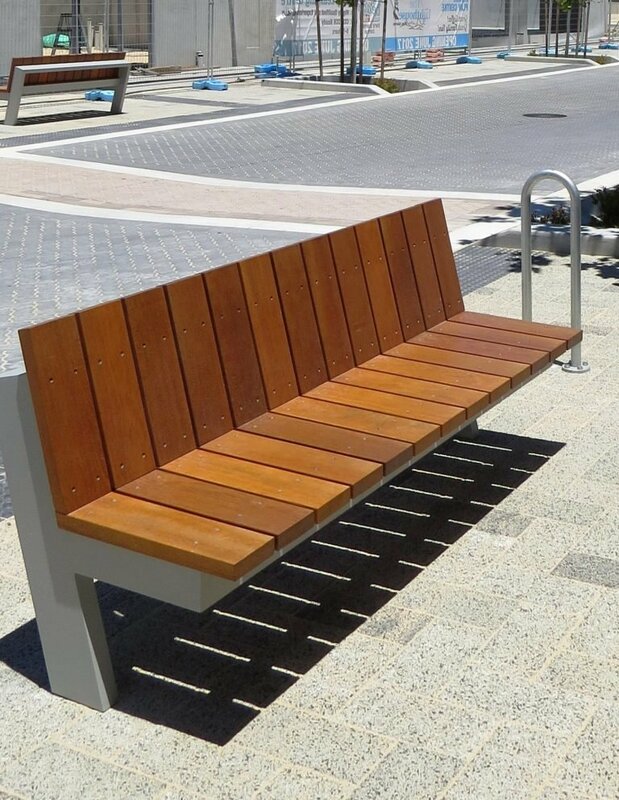 More recent furniture installations, this time in the Commercial Hub of Alkimos Beach, feature timber boards with an Intergrain Naturalstain ‘Cedar’ finish, achieving a ‘quieter’ more ‘urban’ aesthetic to complement the streetscape palette. Prior to general release we reviewed the existing designs, extended the collection with new table settings, seats and armrest options, and developed sun loungers. Low beach chairs and bar-height table settings will follow, providing robust options suitable for use in a broad selection of project types. A bright contrast to the 'coastal planting' of the public open spaces. Shelters designed by AECOM coordinate with the furniture. Visible countersunk stainless steel fixings reinforce the 'boardwalk' aesthetic. Vibrant colours reminiscent of traditional beach huts, deck chair covers and beach towels. 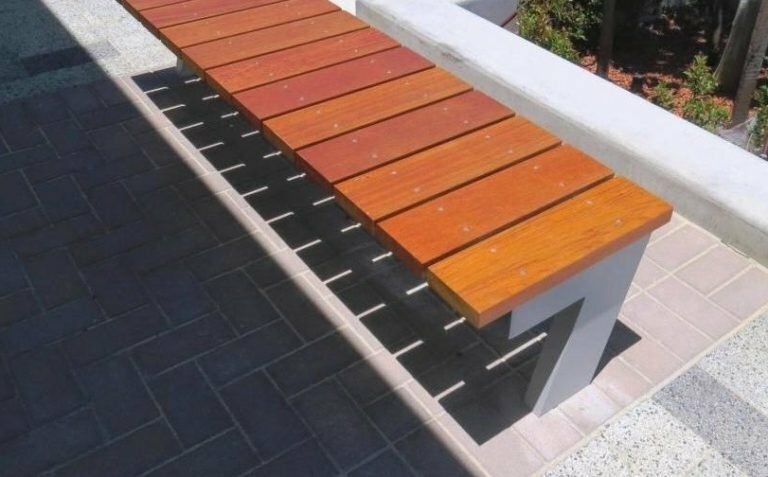 Furnitureform™ recycled HDPE plastic boards.